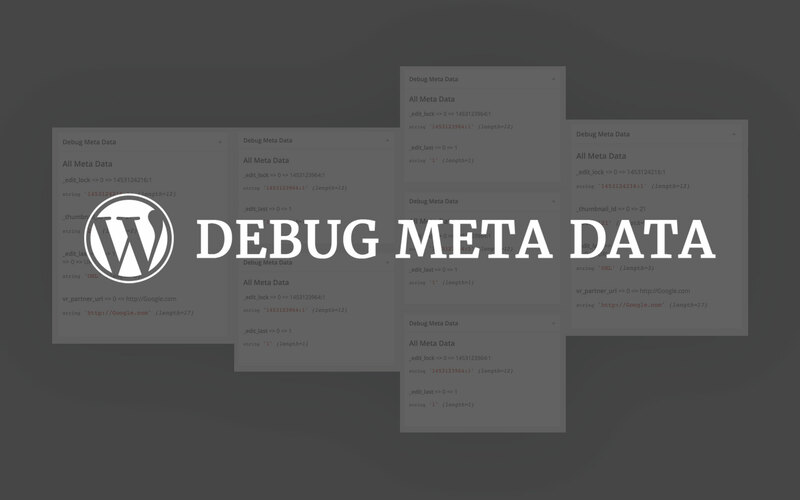 Debug meta data creates a meta-box with meta-data information of a post for all post types. Information with meta key, meta value and its var_dump. 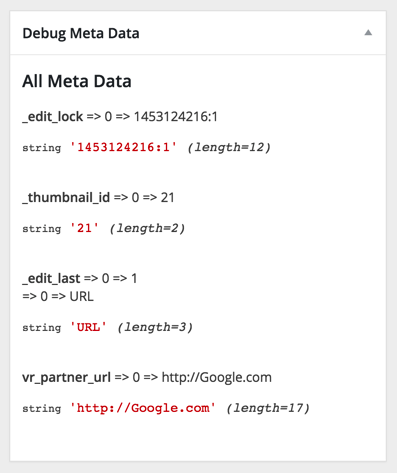 Just install and activate the plugin and you'll have the meta box for all post types (even the custom post types). 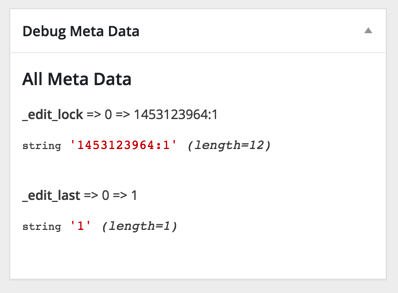 An example of the custom debug meta box with all the meta data that will display for all the post types. FIXED: Minor bug to make sure the correct post type gets through the get_post_custom(). Plugin header info corrected by removing trunk's copy from the tags folder. Released under GNU GPL v2.0.